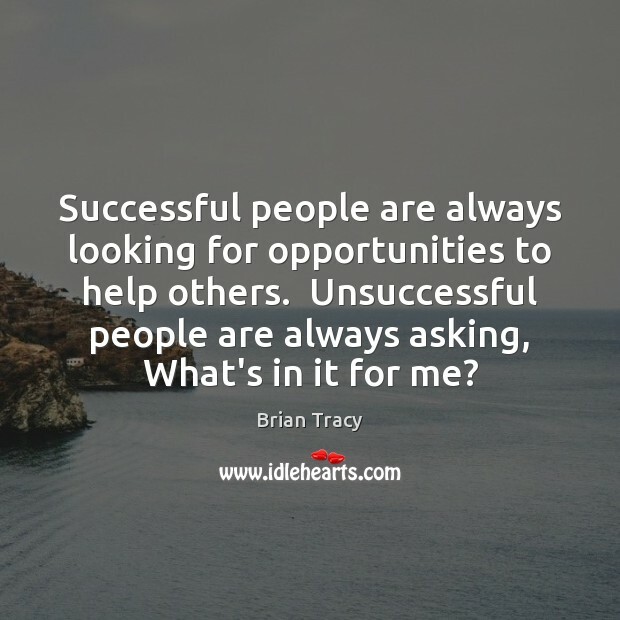 Quotations about Asking For Help. Quotes to stimulate mind and drive action! Use the words and quote images to feed your brain inspiring things daily! 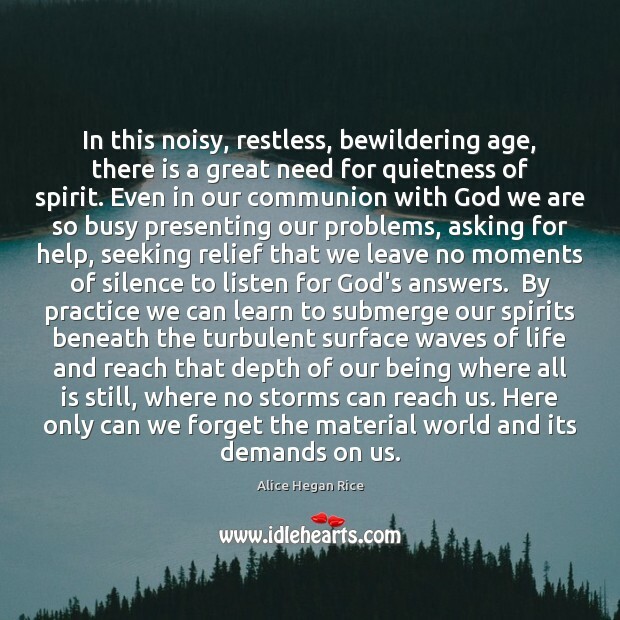 In this noisy, restless, bewildering age, there is a great need for quietness of spirit. Even in our communion with God we are so busy presenting our problems, asking for help, seeking relief that we leave no moments of silence to listen for God's answers. By practice we can learn to submerge our spirits beneath the turbulent surface waves of life and reach that depth of our being where all is still, where no storms can reach us. Here only can we forget the material world and its demands on us. There are many doors to goodness. 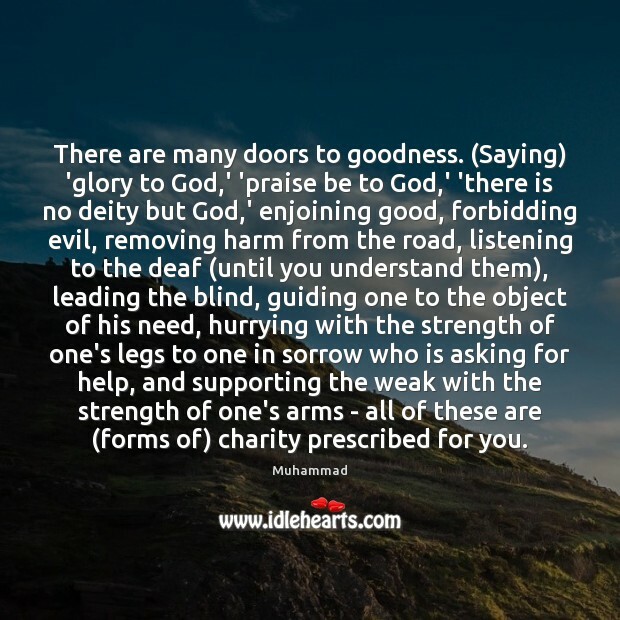 (Saying) 'glory to God,' 'praise be to God,' 'there is no deity but God,' enjoining good, forbidding evil, removing harm from the road, listening to the deaf (until you understand them), leading the blind, guiding one to the object of his need, hurrying with the strength of one's legs to one in sorrow who is asking for help, and supporting the weak with the strength of one's arms - all of these are (forms of) charity prescribed for you. 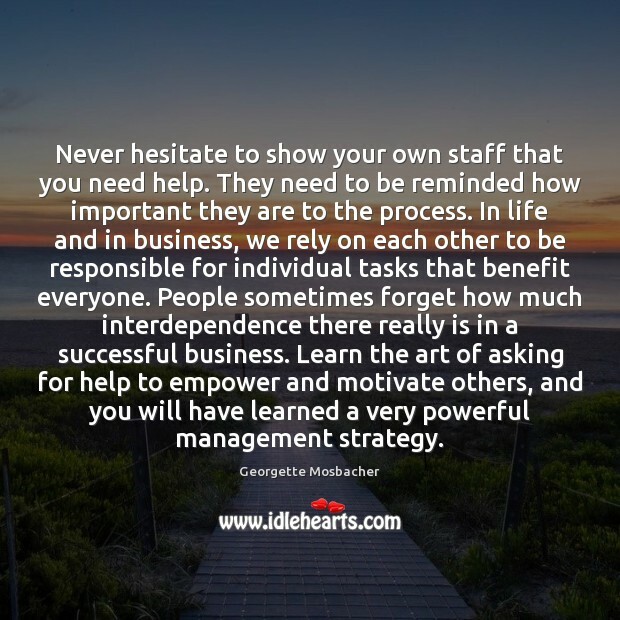 Never hesitate to show your own staff that you need help. They need to be reminded how important they are to the process. In life and in business, we rely on each other to be responsible for individual tasks that benefit everyone. People sometimes forget how much interdependence there really is in a successful business. Learn the art of asking for help to empower and motivate others, and you will have learned a very powerful management strategy. 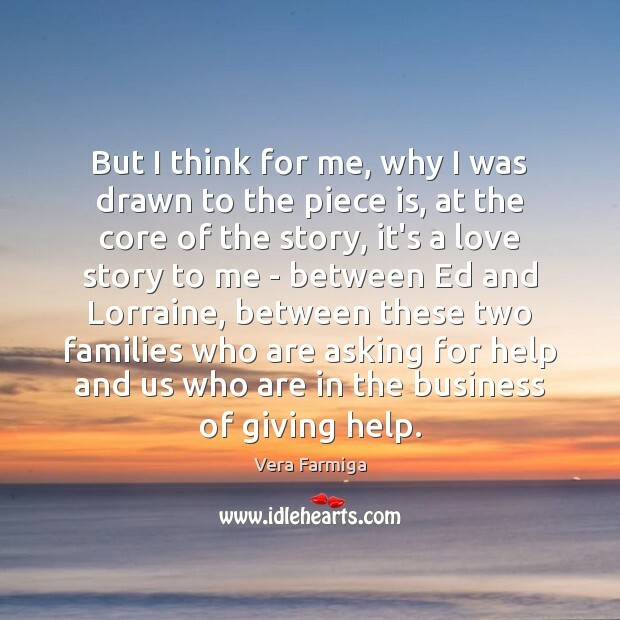 But I think for me, why I was drawn to the piece is, at the core of the story, it's a love story to me - between Ed and Lorraine, between these two families who are asking for help and us who are in the business of giving help. 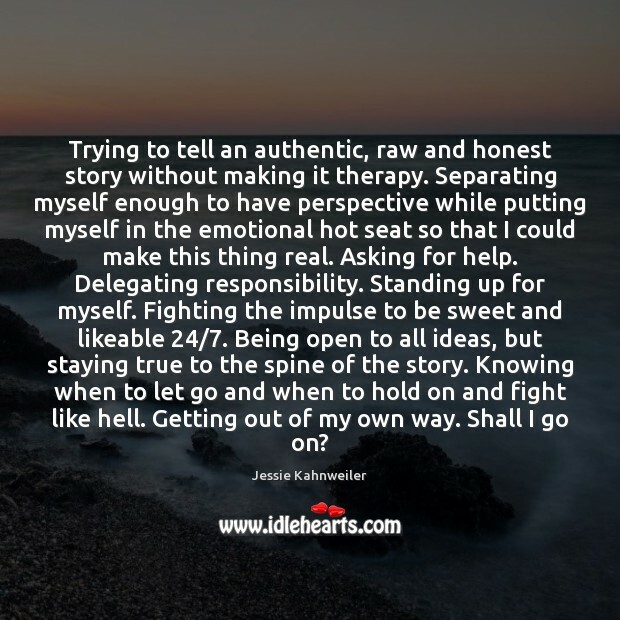 Trying to tell an authentic, raw and honest story without making it therapy. Separating myself enough to have perspective while putting myself in the emotional hot seat so that I could make this thing real. Asking for help. Delegating responsibility. Standing up for myself. Fighting the impulse to be sweet and likeable 24/7. Being open to all ideas, but staying true to the spine of the story. Knowing when to let go and when to hold on and fight like hell. Getting out of my own way. Shall I go on? 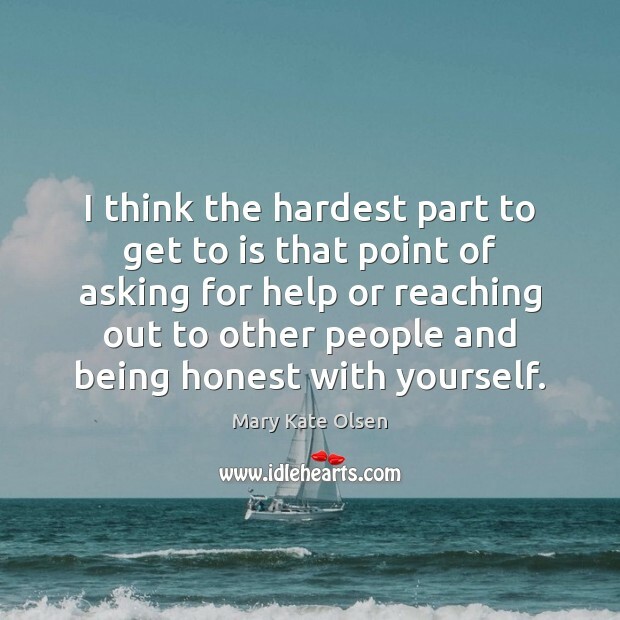 I think the hardest part to get to is that point of asking for help or reaching out to other people and being honest with yourself. The world needs to listen to the cry of the earth, which is asking for help. 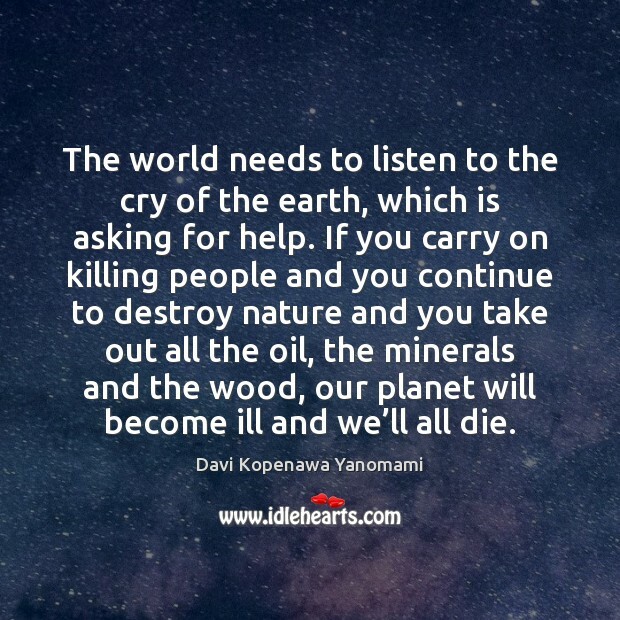 If you carry on killing people and you continue to destroy nature and you take out all the oil, the minerals and the wood, our planet will become ill and we’ll all die. Don't be afraid to ask questions. 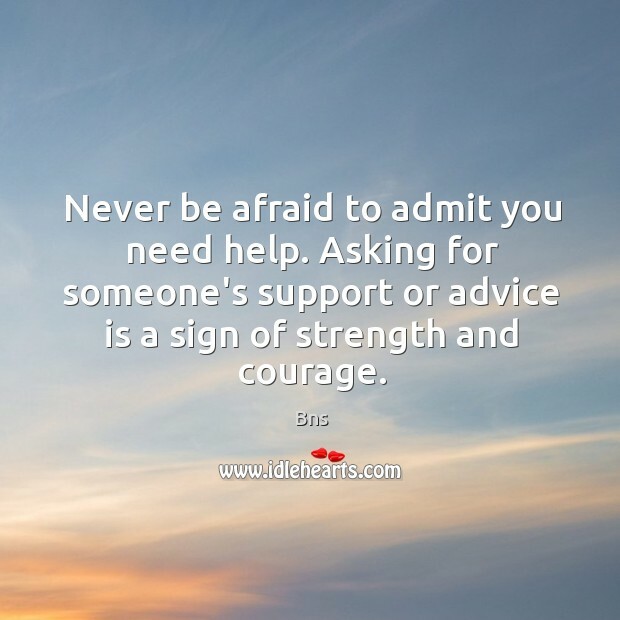 Don't be afraid to ask for help when you need it. I do that every day. 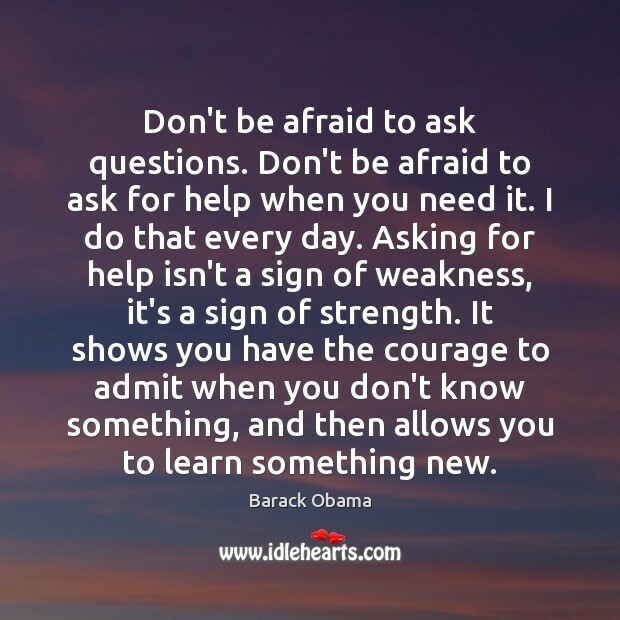 Asking for help isn't a sign of weakness, it's a sign of strength. It shows you have the courage to admit when you don't know something, and then allows you to learn something new. 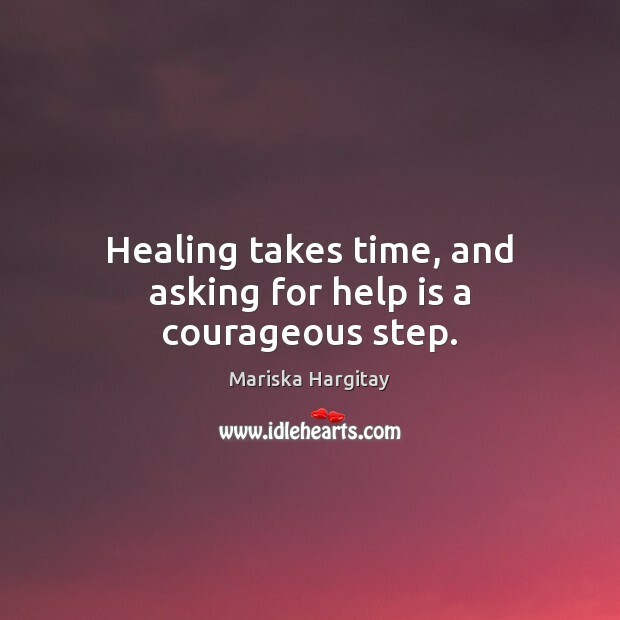 Healing takes time, and asking for help is a courageous step. You watch him playing Jack Sparrow, and he's loving it, and he's loving being in that world. He's still excited by it. Sometimes, he'll even say, 'Was that OK?' And I'm thinking, 'You're Johnny Depp man, you know that's OK!' But he doesn't. He's still going to [director] Gore [Verbinski] and asking for help. It's a privilege to see the human side of Johnny. It's really exciting. 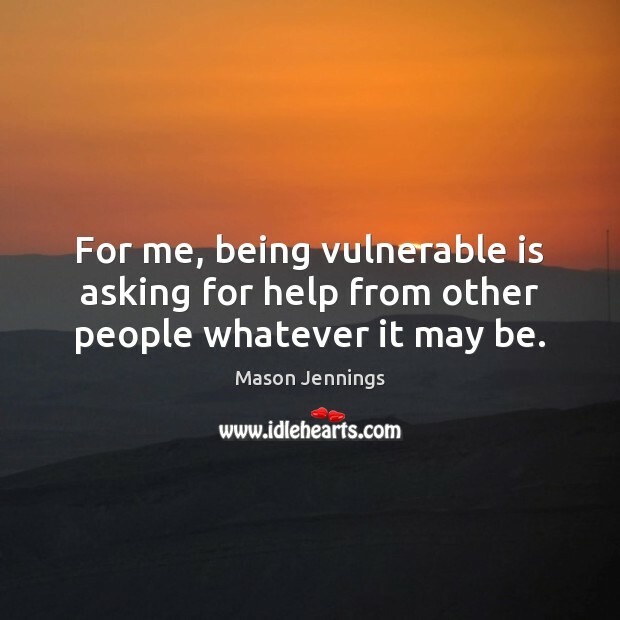 For me, being vulnerable is asking for help from other people whatever it may be. 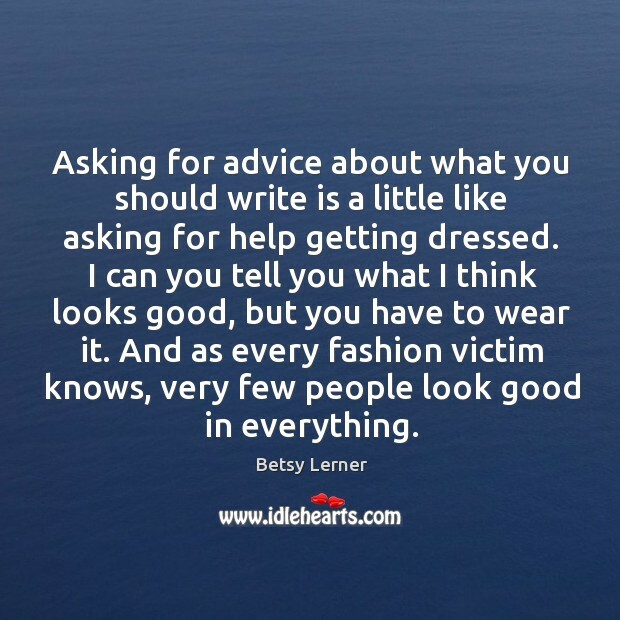 Asking for advice about what you should write is a little like asking for help getting dressed. I can you tell you what I think looks good, but you have to wear it. And as every fashion victim knows, very few people look good in everything.